Looking for the ultimate party starter? 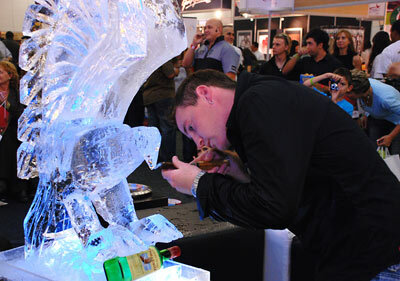 Go for an ice luge, and make your party one that your guests will never forget! 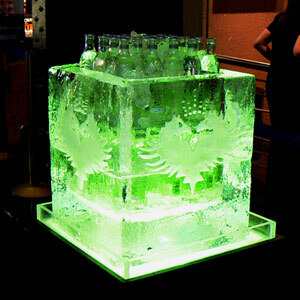 Ice Art will create the perfect luge to suit your décor and space requirements, from subtle table top luges to giant intricate ice luges that will boggle the mind and get the party started in style. 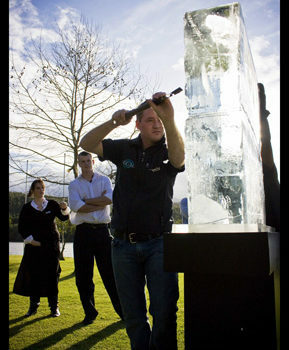 Not sure exactly what an ice luge is or what it is meant to do? Simply put, luges are the focal point of any thriving party. 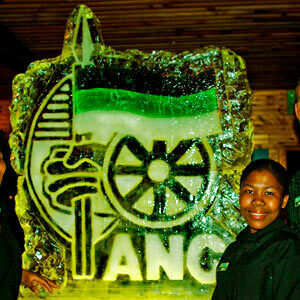 The ice sculpture has a funnel and pipe running through the design, into which booze of your choosing is poured, guests simply duck under the luge pipe, and the shooter comes down perfectly chilled, straight into the waiting mouth below. Or for civilized get togethers, a glass works just as well. The fun really begins when the liquid is colourful – therefore alcohol that works well with ice luge sculptures includes Apple Sours (for the tamer crowds) or Patron, watermelon vodka, pre-made cocktail mixtures, Jägermeister and any other colourful shots. Make it even more impressive with LED lighting that adds an extra dimension of fun. 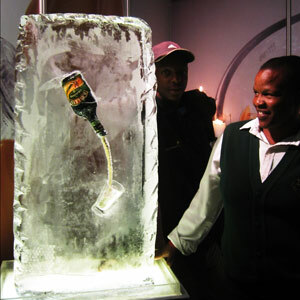 Luges are hugely popular in the US, and are now becoming a fast growing trend in South Africa’s party scene. 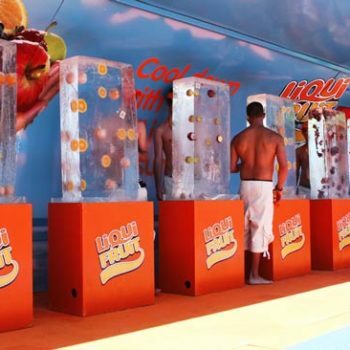 They can be set up near to the bar, ensuring easy access for all party goers wanting a quick icy shot. 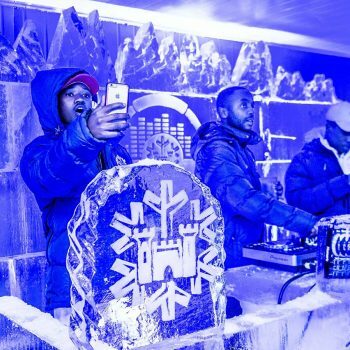 The best part is that the ice takes much longer to melt than you may think; ensuring that the luge sculpture lasts throughout your event. As with any alcohol-related event, always make sure that you party responsibly for the best results. For non-drinkers, luges can also be filled with any cold drink of choice to get all the fun without the hangover the next day. Whether you’re looking for a talking point for a staff function, or you are planning a stag night to (hopefully) remember, we will help you take your party to the next level with spectacular ice creations. Contact Ice Art today for our full range of ice sculpting services and prices, and learn more about adding an ice luge to your party!